Have you been downtown lately? It might surprise you. There are places to grab an early morning breakfast, businesses and services that keep the city buzzing all day long, and fun to be had late into the night. 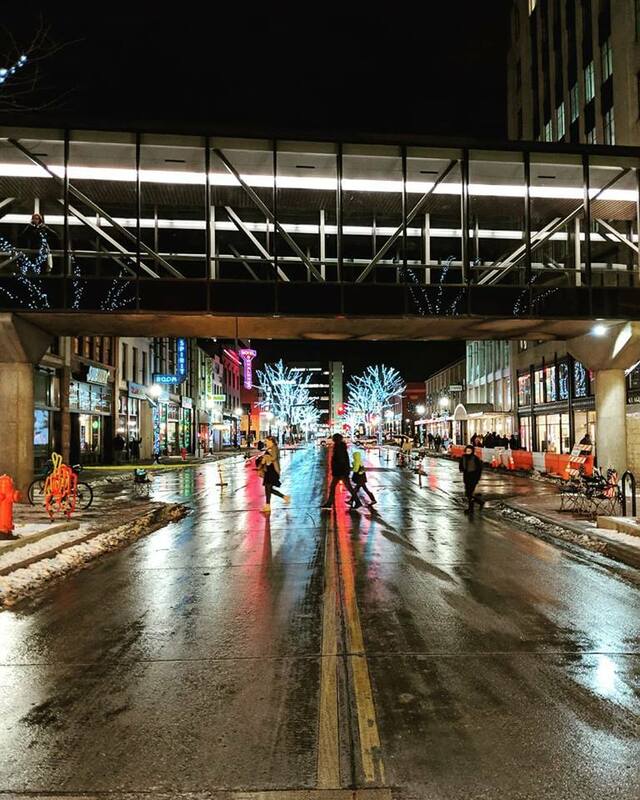 The energy of downtown Fargo is hard to describe, but you’ll know it when you feel it. Downtown is in a constant state of change. There are the obvious signs of evolution… cranes, roads closed, pedestrian tunnels protecting you from construction work overhead. And there are the not-so-obvious signs… people hard at work, implementing the changes thousands of citizens asked for in the Fargo InFocus Comprehensive Downtown Plan, developing public art programs to add local color in places you least expect it, and creating the right policies and programs to make it happen. 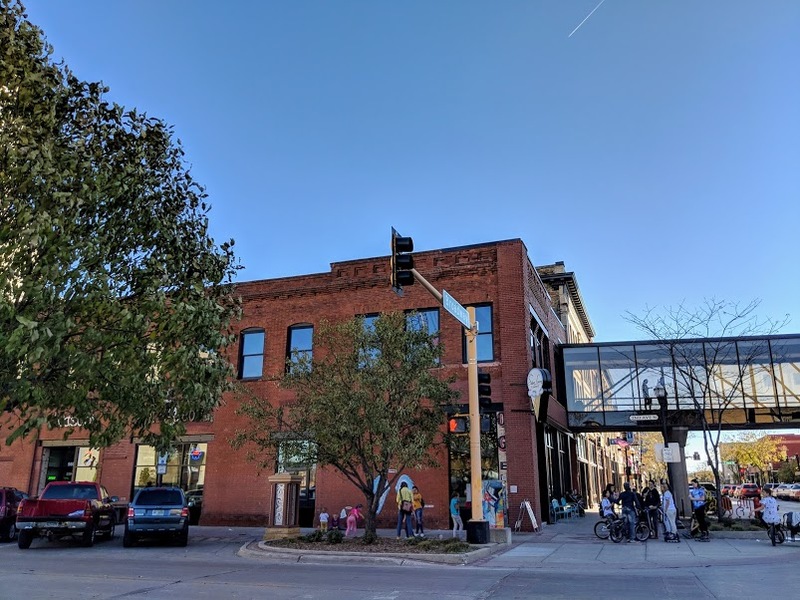 Did you know you can help shape the future of Downtown Fargo? One of the beautiful things about a city of our size is that if you want a seat at the table, there is room for you. The City of Fargo regularly calls for people to get involved on commissions, task forces, and work groups. Community building organizations are always in need of volunteers. You are always invited to give your feedback and share your vision for the future. Kilbourne Group has four active construction projects that we’d love to show you around. 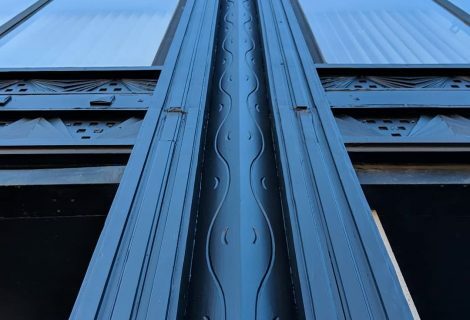 The Black Building is undergoing its largest renovation in its nearly 90-year history. It’s getting a new roof, new mechanical systems, an exterior cleaning, and fresh paint on its elegant art deco detailing. The first phase of reconstruction includes four office floors. They’ve been opened up, allowing a flood of natural light in, and are ready for their next chapter. Dillard is the mixed-use project being constructed directly north of Roberts Commons. A new local restaurant, BeerFish, will anchor Dillard, which is bordered by Roberts Alley on the east and a new alley, full of possibilities, on the north. Dillard is seven-stories and will add 84 brand new apartment units to the growing downtown Fargo neighborhood. 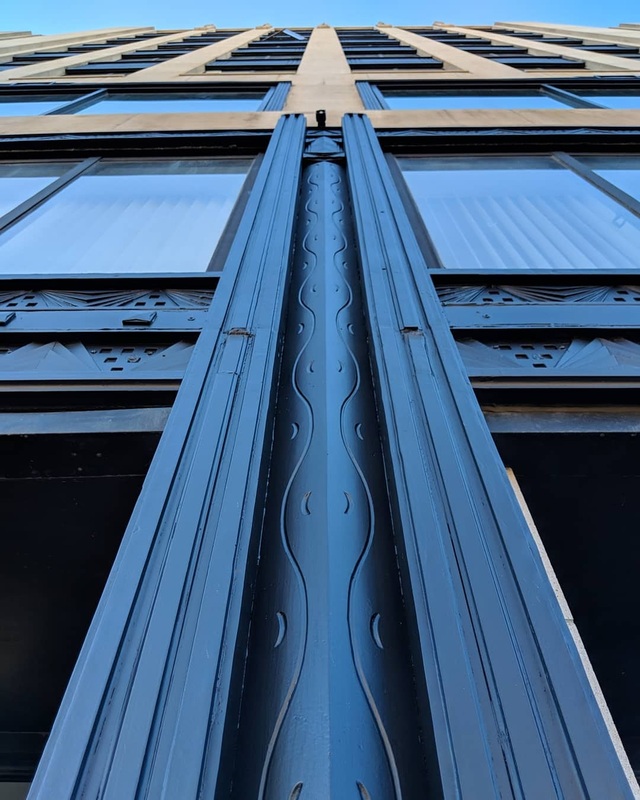 The 100 Block of Broadway is our third project, and includes the former Metro Drug building, built in 1893, on the corner. After splitting the space into three storefronts, we’ve welcomed The Silver Lining Creamery, Wasabi, Poke Bowl, and soon, Black Coffee and Waffle Bar. 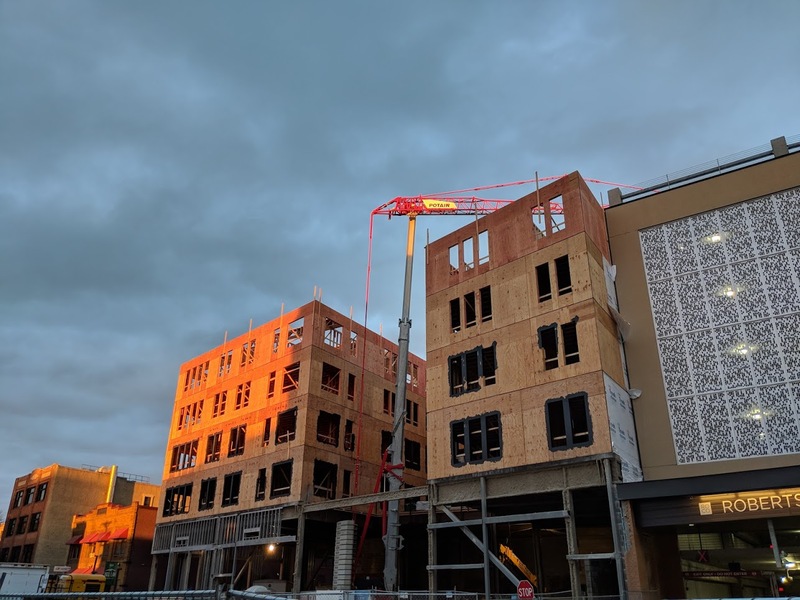 New apartments are being constructed on the upper levels of 117 and 115 Broadway, after life safety systems such as fire suppression sprinklers and new electrical and plumbing were installed. 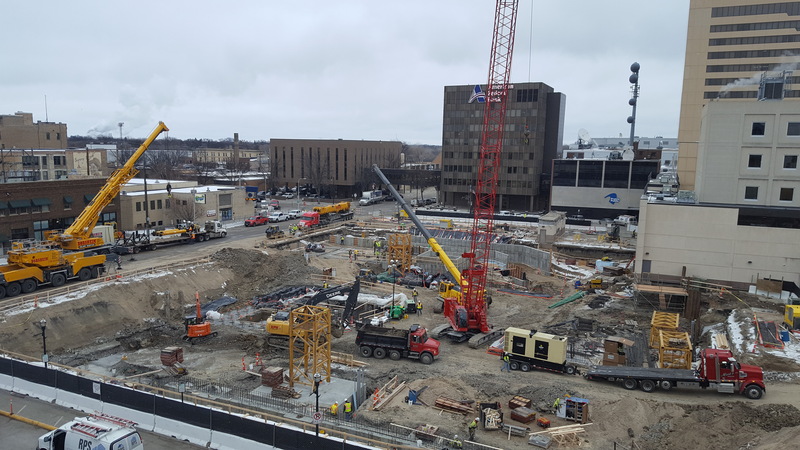 Block 9 is three months into a 24-month construction plan. There have been 367 foundational pilings sunk into the site and the basement excavation for the tower is complete. 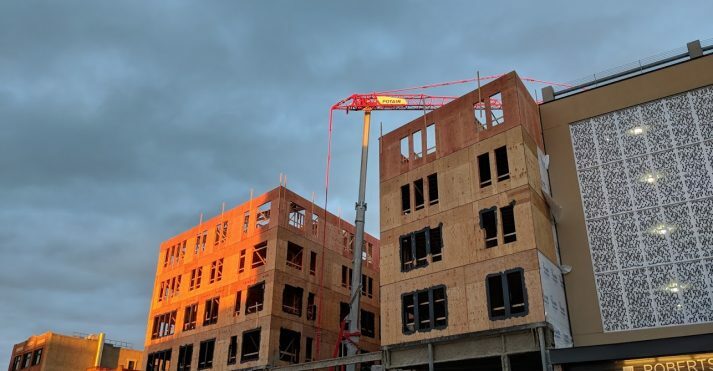 In early December, a 900-ton crane was mobilized on site. 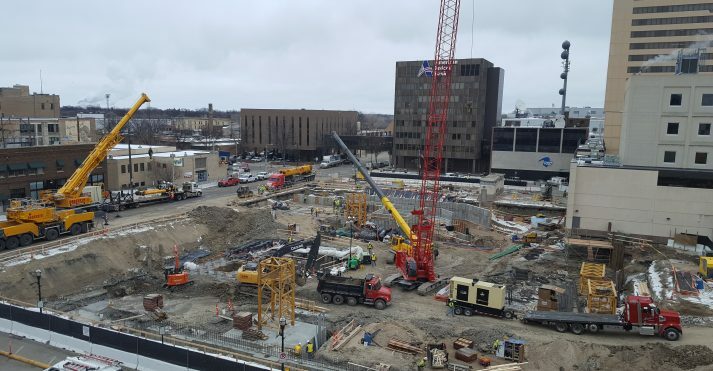 We’re capturing the construction on timelapse camera and you can view the progress at www.Block9Fargo.com. After a summer of construction, all streets are open and your first two hours of parking in Roberts Garage are always free, in addition to nights and weekends. There are quite a few other projects happening as well. It’s an exciting time to come and check things out! We’ve welcomed dozens of new businesses to downtown Fargo in the last couple years. There are new places to shop, new restaurants, new galleries, cookie dough and ICE CREAM! There are so many people in our community that have taken the leap and opened a new place for us all to enjoy. 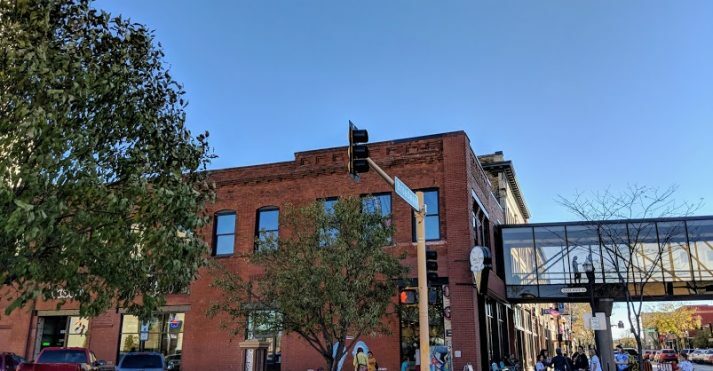 Downtown Fargo overflows with unique and new experiences. Let’s accept their invitation!